In 2004, Alister McGrath published a book entitled The Twilight of Atheism: The Rise and Fall of Disbelief in the Modern World. Although the book did not suggest that atheism was dead, its publication may have been a bit premature. For in 2006, atheism scored a propaganda coup with the media attention given to three best-selling books promoting a new and aggressive form of atheism: The God Delusion by Richard Dawkins, Breaking the Spell by Daniel Dennett, and Letter to a Christian Nation by Sam Harris. Not to be outdone, Christopher Hitchens published the best-selling God Is Not Great in 2007. Dubbed the “New Atheists” for their belligerent tone and militant intolerance, these authors have declared war on theism in general and Christianity in particular, and they have emboldened a new generation of skeptics. Although Christians may have been taken off guard by the seemingly sudden popularity of these books, they have not been slow to respond. In the last two years, Christians and others have published a number of responses to the so-called new atheism. There have been responses by evangelicals (Alister McGrath, David Robertson, Ravi Zacharias, David Marshall, John Lennox, David Aikman, and Douglas Wilson), Roman Catholics (Scott Hahn, Thomas Crean, and Thomas Williams), liberals (Tina Beattie, and John Haught), an agnostic Jew (David Berlinski) and even an unrepentant Marxist (Terry Eagleton). 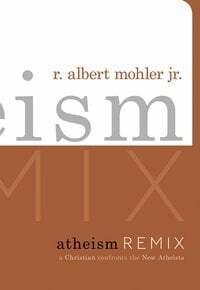 Among the more recent responses is Albert Mohler’s Atheism Remix (Crossway, 2008). Based upon lectures delivered at Dallas Seminary in 2008, Atheism Remix is an instructive and readable guide to the major personalities and issues associated with the new atheism. In his first chapter, Mohler traces the rise of atheism from the Enlightenment to the present, noting in particular the contributions of Nietzsche, Marx, Darwin, and Freud to the worldview that paved the way for the new atheism. Mohler argues that the new atheism is the “endgame of secularism.” Because its proponents see religion in merely functional terms, secularization theory assumed that as humans advanced there would be less need for belief in God. Although this view seems to be validated in certain regions (for example, western Europe) and in certain circles (among the cultural elite), it is contradicted by other phenomenon (for example, strong religious beliefs in the U.S. and the resurgence of religious belief in other parts of the world). In chapter two, Mohler introduces the reader to the four most well-known proponents of the new atheism: Dawkins, Dennett, Harris, and Hitchens. After looking briefly at the backgrounds of each of these men, Mohler distills from their works eight characteristics that distinguish the new atheism from the old atheism: 1) An unprecedented boldness; 2) A clear and specific rejection of the Christian God of the Bible; 3) An explicit rejection of Jesus Christ; 4) A specific grounding in scientific argument; 5) A refusal to tolerate moderate and liberal forms of belief; 6) An attack on toleration; 7) A questioning of the rights of parents to inculcate belief in their children; and 8) The claim that religion itself must be eliminated in order to preserve human freedom. The bulk of chapter three is an examination of two Christian responses to the new atheism. First, Mohler looks at McGrath’s response in his book The Dawkins Delusion. He then examines a briefer critique of Dawkins written by the Christian philosopher Alvin Plantinga. He concludes that Christians need to do more than offer a negative critique of atheism. They also need to positively present and defend Christian theism. In particular, the Christian doctrine of revelation must be defended. In his final chapter, Mohler looks at the challenges that lie ahead for Christians. He argues that believers cannot respond to the new atheism by accommodating their beliefs to these new views. Accommodating Christian belief to non-Christian assumptions does not impress the new atheists in any case. To show the problems with such accommodationist approaches, Mohler carefully critiques two recent liberal responses to the new atheism. Mohler concludes by noting that the new atheism presents the church with an opportunity for clarification. The new atheism presents the church with a new version of an age-old challenge. Christians should not be intimidated by these challenges. We should not cower in the face of those who set themselves against God. We must respond with courage and conviction, proclaiming the gospel to all, knowing that we too were once enemies of God.